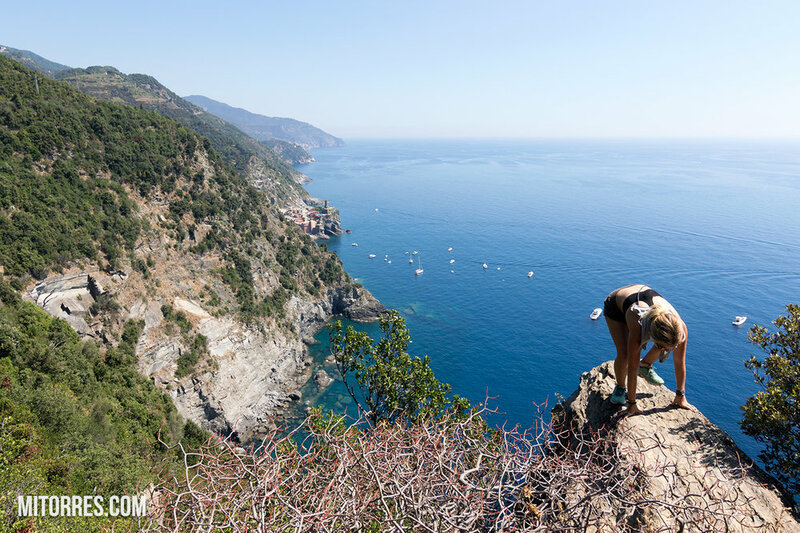 On this day we hiked from Vernazza to Monterosso Al Mare. In this video you will be able to see what this hike is like, see what the trails are like and see the beautiful views and scenery. Once we arrived in Monterosso we spent the afternoon on the beach where we had the opportunity to cool off, do some snorkeling, and jump off a cliff a few times. If you're ever in Cinque Terre and you want to do some hiking I would definitely recommend this one. It is about 2.5 miles (4 km) and can be done in about 90 minutes. As you can see in my video it took me longer, but I had my reasons :) By no means would I say that this is an easy hike. The first mile to two miles is pretty steep, but not too bad. Just make sure you wear some comfortable shoes, take plenty of water and if you do this in the summer be prepared to sweat you a$$ off. So bring extra clothes too. The trail is clearly marked and as I already mentioned the views are beautiful. This video doesn't do this hike justice and Youtube . It was an amazing experience and I would definitely do it again.